We’re passionate about cruises – they’re our speciality. We want our customers to feel the same, so it’s important to us to be able to offer the very best – that’s the Silver Compass difference. You can feel confident when booking a cruise with Silver Compass that we’ve tried and tested multiple ships, suppliers and trip types. We’ve done the legwork and refined what we know to be able to bring you a seamless service. Many of the cruises we offer have been experienced by ourselves first-hand – and when we haven’t been able to travel, we’ve visited the ships whilst docked. We offer many popular mainline cruises of all shapes and sizes, and we also have access to plenty more niche products such as paddlewheel steamers, small expedition ships, liveaboard dive boats and more. We take our responsibility to the cruise industry and our customers seriously – we work to ensure our knowledge is constantly up-to-date, and have close relationships with suppliers and industry specialists. 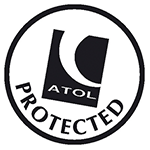 Our holidays are all protected by ATOL and a client trust account, to ensure you’re fully covered. 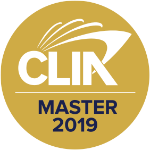 In addition, we’re affiliated with the Cruise Lines International Association (CLIA) at the highest level; our co-founder and personal travel agent Kit is an accredited Cruise Master, as well as being a 100% Pure New Zealand Gold Specialist. Nevertheless, our knowledge is just part of the journey. Our holidays are a collaboration between us – the experts – and you, the customer. We take pride in the service we offer; from getting to know you and understanding what you’re after, we can then use our knowledge and industry relationships to arrange the perfect cruise. If you are new to cruising and need guidance, we are happy to help. If you’re more seasoned, we can take more of a back seat – should you prefer it. Above all, it’s important to us that we get it just right. That means our service doesn’t stop once you’ve booked the holiday – we’ll be there to guide you from start to finish, whether that means giving currency or VISA advice, giving guidance on local customs, or even just restaurant suggestions. You deserve the best on your holiday, and we want you to enjoy being on-board as much as we do.